We are a family owned business, making most of our products by hand, using high quality ingredients including natural and organic. 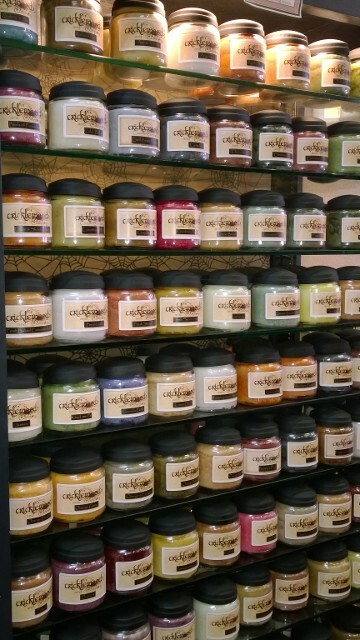 Cricklewood and Company is a leader in handmade, premium quality candles and personal care products. We offer handmade and custom candles for sale nationwide through our online store and in our shop in Cowan, Tennessee. Using top grade ingredients, our jar and votive candles will brighten up every room in your house, leaving a fresh and comforting fragrance throughout. We also have many different kinds of handmade soaps and natural skin care products, so you can feel good about using it on your body or sharing it with loved ones. Our fragrance sprays are made with premium oils that make your home smell amazing. Check out our store to view our handmade candles and natural products, or for custom candles that make wonderful gifts. You can guarantee you will not find them anywhere else! Contact us today for more information. FREE SHIPPING ON ORDERS $75.00 AND ABOVE, within the United States and APO's.